Live Longer and Be Happy! From a health and wellness perspective, we are in trouble. Big trouble. It is estimated that by 2030 approximately 50% of the U.S. population will be obese and over 30% will be suffering from diabetes. And, the rest of the world is not far behind. Cancer and heart-disease are similarly on the rise - as is Alzheimer's disease, asthma, auto-immune diseases, depression, and more. Another alarming statistic is that 5 out of 6 people over the age of 70 are on at least 4 chronic prescription drugs. Many people just consider this the norm these days. "It's just the way it is as we get older", they say. 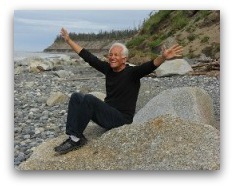 It is critical that you get the right information as the first step in the process to health and longevity. In addition, we have had no clue on how to prevent cancer, diabetes, Alzheimer's Disease, depression, and autoimmune disease - and have had made little progress in treating these illnesses successfully. As mentioned above, inflammation is being found to be the basic cause of many diseases killing people today. Diseases like cancer, heart disease, diabetes, Alzherimer's Disease, and even depression all possibly have the same common cause - which is inflammation in the body. The subject is certainly very complex - and controversial - but we must start somewhere. 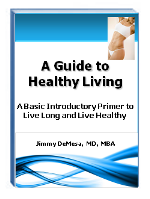 So again, first, get my eBook, A Guide to Healthy Living, for just $1.99 (or you can get it FREE by clicking here). It will help you start understanding some of the concepts and strategies to live happier, healthier, longer, and with a lower likelihood of having to take prescription drugs for the rest of your life. Step 3: Change Your "Aging Mindset"
Once you have started to take the action necessary in steps 1 and 2 above, it is critical to change your mindset about aging. As mentioned previously, we can't accept getting diseases and taking multiple prescription drugs as a fact of life as we age. Similarly, we can actually slow down the aging process, and live longer as well, by changing our internal mental programming (our aging mindset). The classic book by Deepak Chopra, called Ageless Body, Timeless Mind, is a great way to start changing that mindset. Then, in addition to Chopra's book, check out the other resources below to get much deeper into this subject and take your health to the next level, so you can live to be 100, free from disease and the need for prescription medication.